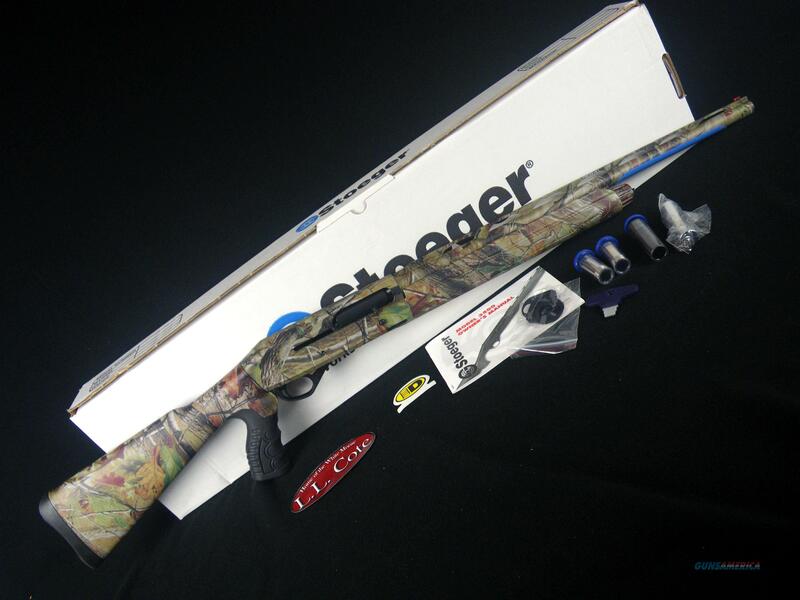 Description: You are bidding on a Stoeger M3500 in 12ga with a 24" barrel and 3.5” chamber. The affordable M3500 shotgun is the perfect choice for waterfowl, wild turkey or upland game birds. It provides versatility, value, and solid reliability. For dependable performance, no other 3-1/2-inch semi-auto in its price range compares. 3-1/2-inch, 12-gauge, Inertia Driven® semi-automatic, handles loads from 2-3/4 inch to 3-1/2 inch magnum without adjustment. Operating system is lightning fast and reliable, with only 3 moving parts in the bolt. Barrels are fitted with a ventilated, stepped rib and fiber-optic front sight for quick target acquisition. The M3500 Shotgun delivers magnum performance and reliability. Four choke tubes are included (F,M,IC,XFT). Displayed images are stock photos. Any questions please feel free to ask (our phone number is in the additional information tab above).